Mine production is still a very profitable business where massive sums of money can be earned. Many states worldwide, including Germany, are still producing mines. 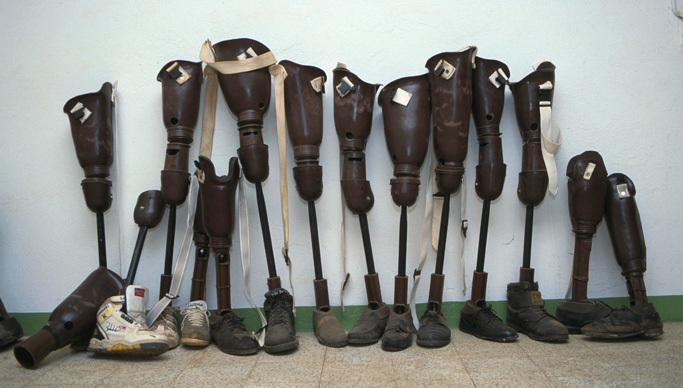 Since 1996 we are clearing land mines in especially dangerous areas of the world and help the threatened people to return to a normal life. Presently MgM is clearing land mines in Kuando Kubango to guarantee a land mine free area for the development of the biggest national park of the world. Just as important as the direct clearance of mine invested areas is the education about the dangers of mines especially at schools. 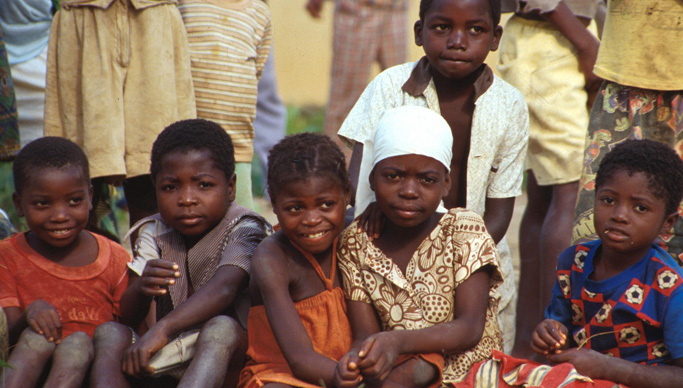 For 18 years we have tirelessly been operational in southern Africa conducting humanitarian demining work, to grant people living in conflict areas a safer life and a human future. We are proud of our and we still have a lot of intentions. 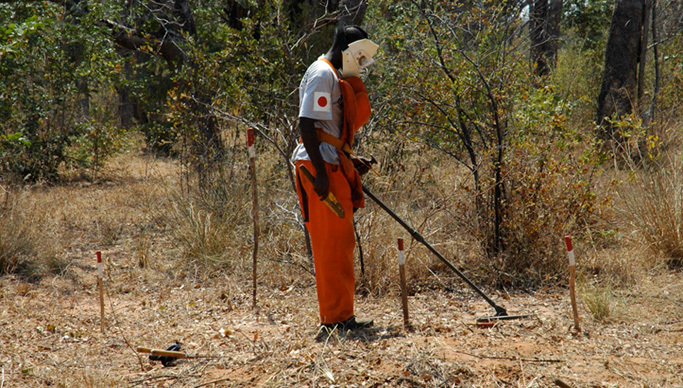 MgM were asked to assist in the demining of the Malanje province with EU funding, by removing at least 10% of the hazardous area, with the highest priorities and impact. These were the ones with the perceived greatest threat to the lives of the families who needed to return to their homes. 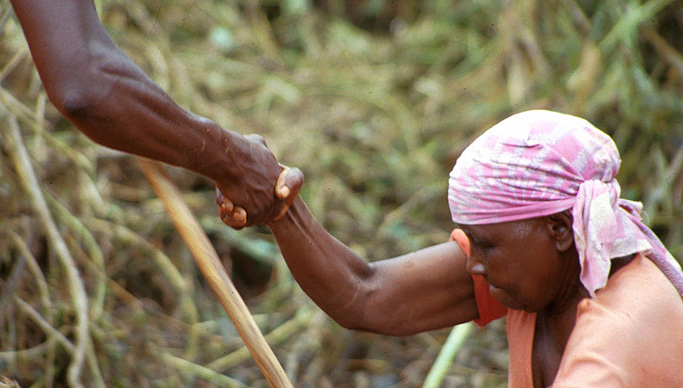 After previous funding from the EU ended, the demining task in Kuando Kubango was suspended in 2012. 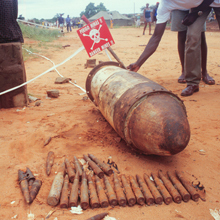 Since then MgM focused on demining in Malanje. Then, during August 2014 MgM received notification that the organisation had been allocated the new contract for the South-east Kuando Kubango Province from the EU. 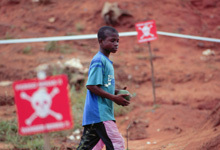 Preparations were immediately made to start demining again!